Trillions have died in the Earth’s seas. Calcified shields of the dead already make up the white cliffs of Dover. The battle between ball-shaped light-colored single-celled plants — phytoplankton called coccolithophores — and even smaller, diamond-shaped viruses dubbed coccolithoviruses — has raged for tens of millions of years. To help fight this battle, the coccolithophores create their chalky armor by absorbing carbon dioxide from the atmosphere. This battle is so epic that coccolithophores actually remove a significant fraction of Earth’s atmospheric carbon dioxide, bolstering the breathability of air for animals including humans. 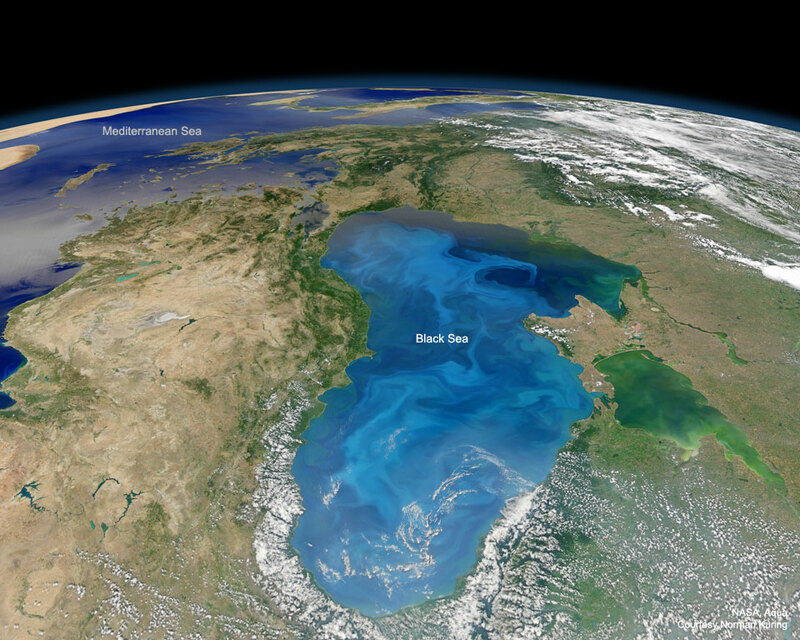 Pictured in this 2012 image from NASA’s Aqua satellite, the Black Sea was turned light blue by coccolithophore blooms.